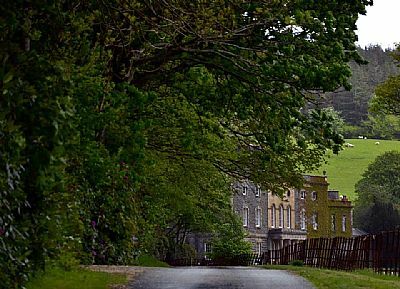 A brief architectural tour of Nanteos Mansion, near Aberystwyth. Approaching Nanteos on the main drive the first piece of fine architecture that can be seen is the Italianate Lodge, built in around 1857 and designed by the architect D. Kyrke Penson. A small lodge stood here prior to this building. 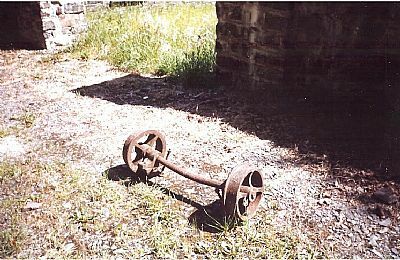 The rubble used for the stone construction of the Lodge came from Ty’n y rhyd, a dwelling that once stood on the other side of the steam. The Nanteos lodge is situated between two drives; each drive had a large wrought iron gate. The gateway on the left (which has long disappeared) leads to the back drive which is located in the Dark Wood; this entrance was used by the servants and tradesmen with their deliveries etc. The drive is partly walled on the south side, (to stop noise penetrating into the pleasure grounds and disturbing the gentry on their leisurely walks). This track leads to the nearby village of Moriah, located on the Deveil's Bridge road but another gateway would give access to the back on the mansion for staff and deliveries etc. 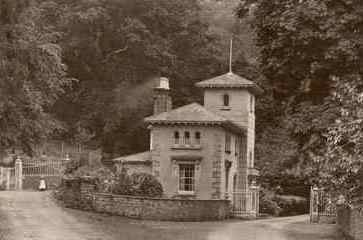 The drive on the right of the Lodge is the main entrance that leads to the mansion, which was kept locked and only used by the family and invited guests. Passing through the lodge gates on the sweeping leafy drive would lead to Nanteos but half way to the mansion is the lake, which was developed in around 1821. Two Victorian boathouses of wooden construction lie at the far end on the west side. Now, sadly collapsed and lay buried underneath a mass of rhodendron. 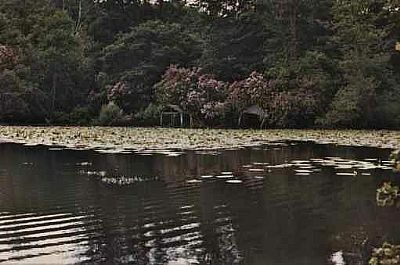 The lake was kept in pristine condition with regular maintenance, two boats rowed around the lake in tandem with sharp blades between them to cut all the lilies, plants and weeds. Across the drive from the lake is a bridle path that begins at Nanteos and makes its way down to the Lodge, there are many other paths through the woods but this one is the most glorious, with glimpsing views of the landscape and lake. There is quite a bit of overgrown box hedge (Buxus) growing near the lake on this bridle path which suggested at one time a well manicure area, so that the lake can be admired by the passing horse rider. Continuing up the drive, the first glimpse of the grand Georgian mansion can be seen, square in stature, sitting proud and surrounded by the picturesque landscape. The lawn in front of the house has been heavily landscape; in 1782 the main toll road was moved further away from the house, for privacy, on closer inspection one can see evidence of the old road slicing through the fields. The wrought iron Estate fence surround the front of the mansion was placed in 1813 on top of an old ha-ha, (the ha-ha continues down the length of the front field on the left side towards the Paith steam). Further evidence of architecture on the front lawn is the old kennel (top left in the top field) sadly no record of its grandeur survives, the building stems from the Georgian era. The kennels were shut down and was relocated in 1865 due to the dampness of the marshy ground that surrounds, and the building was left to ruin. The hounds were moved to a smaller domain east of Nanteos with improved access, with living accommodation for the handler. The hunting pack called the ’Nanteos Harriers’ were a pack of over 80 hounds. The south facing mansion located at the base of the Paith valley. On closer inspection of the mansion, one can see additional extensions from the Victorian era, but nicely incorporated into the Georgian architecture. 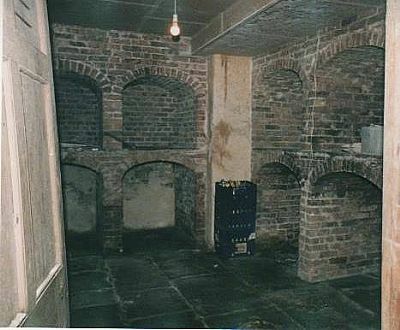 The construction of this quite substantially sized mansion began as the above states in 1739, and the mansion is built on top of an older dwelling, evidence of this can be seen in the cellar. Thomas Powell began building his new improved residence using the wealth of his wife Mary Frederick. Sadly, his unexpected death in London in 1752, he never saw the grand completion. It took his brother Reverend William Powell a further five years to complete the house, which was a considerably long process, as the lead water heads date 1757 shows. The architect of Nanteos is unknown, though many architects have been involved in various additions and alterations, which are mentioned below. 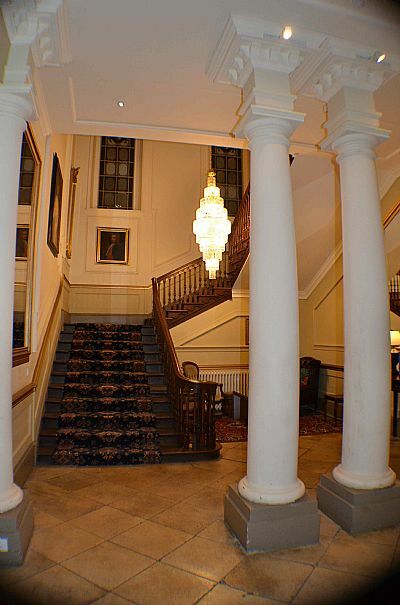 The mansion itself is 69 rooms, and well designed to accommodate the needs of the country Gentleman. William Edward Powell MP (1788 - 1854) was the first Powell to make vast alterations at Nanteos adding new wings, which includes trhe portico, butler’s quarters, housekeeper’s quarters, and extended service rooms. Later his son William Thomas Rowland Powell (1815 - 1878) commissioned a billiard room to be built at the east end of the mansion. Various grand plans were drawn up at the time but due to lack of funds only the basic plans are used. 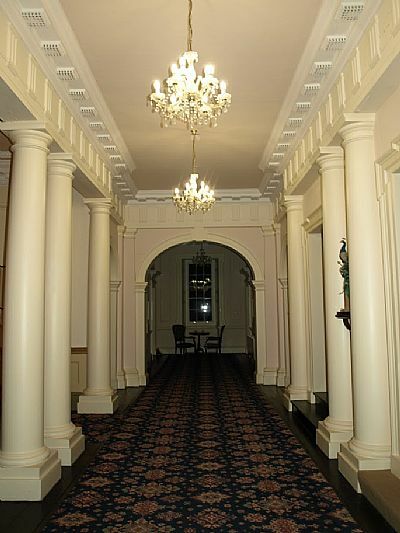 On entering the house, through the front Doric columned portico, into a large entrance hall, guests were received in the morning room (first room on the left). 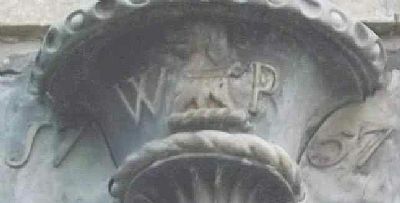 There are a few marks on the marble surround of the fireplace, which are said to be gunshot marks. The story of this is that a servant girl was tending the fire when the butler walked in and jokingly pretended he was going to shoot her with a gun he was holding from the collection on display in the entrance room. She screamed and fainted, and as she fell, the gun went off luckily missed her and the shot scarred the marble. On leaving the morning room, the next room is the library. The library sadly no longer has its large Oak Georgian bookcases. 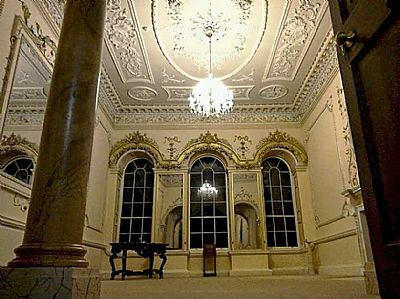 The long windows, which reached the floor, brought in light for the reader during the day and the windows in one of the four doors of the library is to alert the servants not to enter the room in the evening if they saw a light shining through. Obviously, the master of the house was deep in study with his books or fallen asleep in front of the fire. The next and largest room in the house is the dining room (41 feet x 22 feet), symmetrical in design, with a large bay window. Symmetrical in design with heavy doors in each corner and a heavy architectural ceiling. During the hunt and on other special occasions the room would seat over 100 people. The door from the kitchen area would have had a buffer so that no door banging would be heard while food was being served. Leaving the dining room leads on to the inner hall. The dogleg staircase in the columned inner hall leads up to the gallery, the columns in the inner hall are repeated on the top of the stairs in the gallery. 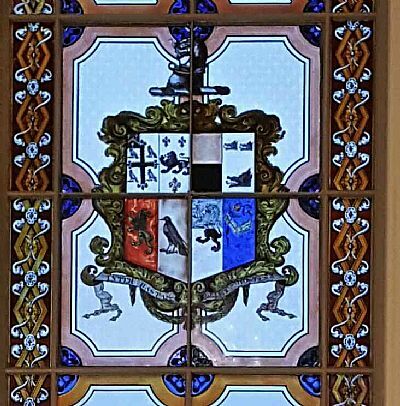 Half way up the staircase there are two large stain glass windows that light up the staircase, each has a centre piece of the Powell family crest. 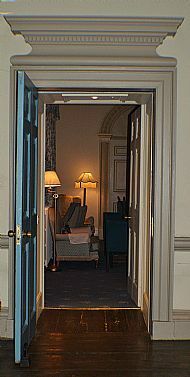 The long corridor is symmetrical in design, most doors lead off to a bedroom or corridor but others are false to balance the symmetrical design. At the top of the stairs, the hallway opens up to a long gallery. This gallery was used as a form of exercise area for the ladies of the house to walk if the weather was unpleasant. 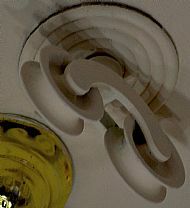 On the ceiling some of the winches for the original candelabras are still in situ. 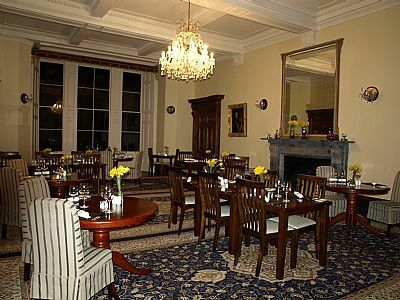 The reception rooms are grand on the ground and first floor. The most lavish being on the first floor is the music room with its Italian Aesop’s Fable fireplace. The Rococo style ceiling depicting the four seasons entwined with musical instruments. The mirrored walls (added in the Victorian era) enhance the decoration of the room. A Broadwood grand piano sat proudly in the music room for over a century. 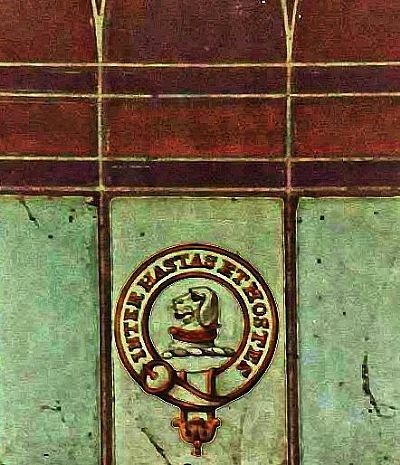 When George Powell purchased the piano in 1863, he wrote to his father from London stating that no one was to tamper with it until he arrived at Nanteos. He practiced for his many public appearances with his special Broadwood. Leading up to the second floor on another flight of stairs with another stain glass window giving light but this time displays the Powell's moto, which means 'Bewteen Spears and Enemies'. The second floor comprises of many functional rooms - e.g. Christmas room, Nurseries, Photographic room. Many people mistakenly think that this floor is the servant quarters. This is not the case the servant quarters were located above this floor, but sadly were demolished in the early 1960s to make way for the new flat lead lined roof. The new roof also sacrificed the height of the rooms on the second floor losing slight height and their decorative décor. 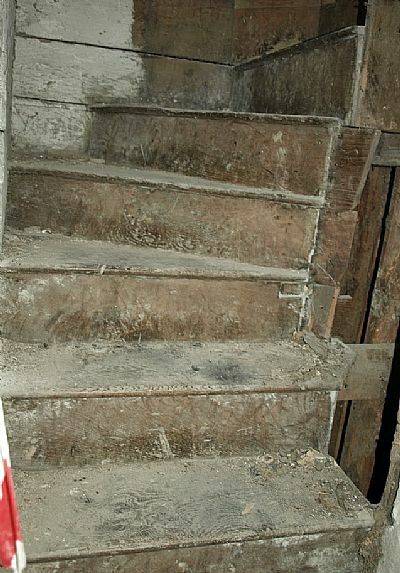 The only evidence that survives of the servant quarters are the two stairways which now lead to nowhere on the east and west side of the second floor. 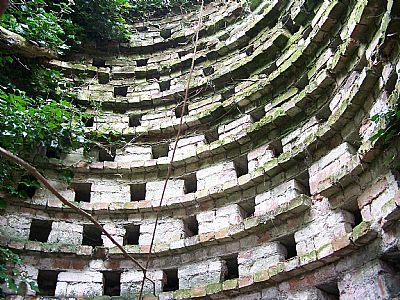 Originally they would have led to a rabbit warren of small rooms for the staff, with the occasional roof light for light. With having two flight of stairs it suggest that male and females were segregated. Descending down the service staircase from the top floor down the back to the ground floor we arrive at the kitchen corridoor were the servcie bell are still in situ. 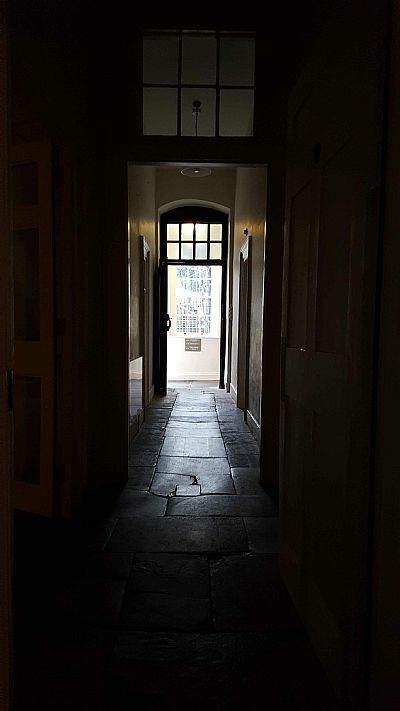 Other rooms in this area are the Butlers and Housekeepers quarters, Servants hall, boot and candle room, still room, pantry, scullery and other service rooms. A hub of activity in its day. The slate slab flooring shows evidence of wear from the hard working staff throughout the centuries as they came in for their meals from the gardens, stables and fields. A bell in the courtyard would have rung to call them in. Nearby to the kitchen there is a large door that leads down into a large cellar, with its wide stone staircase. The cellar is the length of the morning room, entrance hall and study, 60 feet. 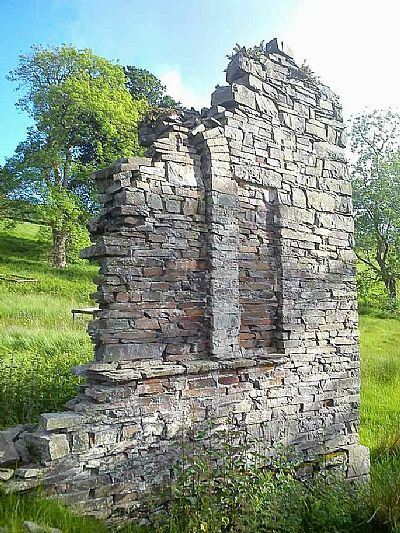 There is evidence here of an older house suggesting that the Georgian mansion was built on the foundations of Neuadd Lawdden. During the Powell time it was full of wine, spirits and beer all labelled in their compartments. A large door gives access to a cobbled area, which is underneath the portico entrance into the house. Water can be heard running through the underground culverts, which runs underneath the mansion. In later years, they grew mushrooms in the damp, dark rooms of the cellar. And it is also rumoured that there was once a tunnel that made its way to Aberystwyth Castle, this is highly unlikely. On leaving the house from the back door (the original back door is the large sturdy door from the kitchen corridor) the extension added in the 1840s gives another back door which is not as imposing as the original back door. 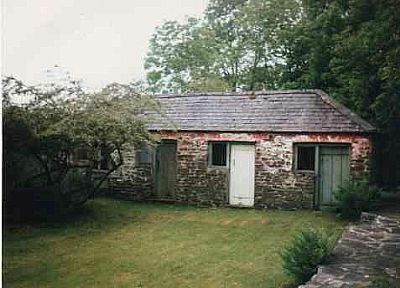 Stepping out into the slate paved and partly cobbled courtyard the area is enclosed with various outbuildings, which serviced the house. 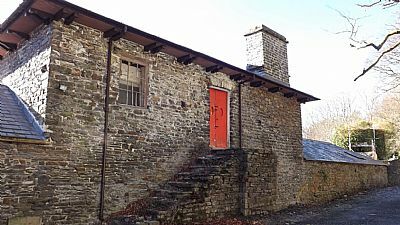 Log and coal sheds supply the house with heating later on in the early 1920s the battery store was introduced which was located below the estate office, behind the battery store was the brewery, in later years there was also a bakery. The wide steps leads up to the estate office, and the laundry rooms. 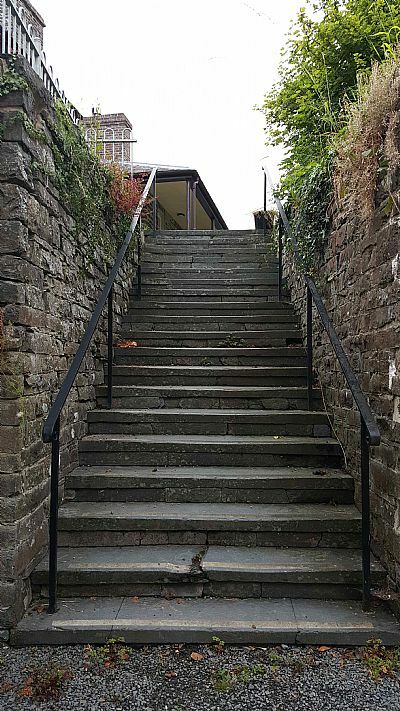 The isolated building on the top of the steps was the creamery, producing butter and cheese, iron loops were fixed to the ceiling to hold the cheese. Today this building has been incorporated into the stables to make a luxurious apartment suite, for guests to stay. 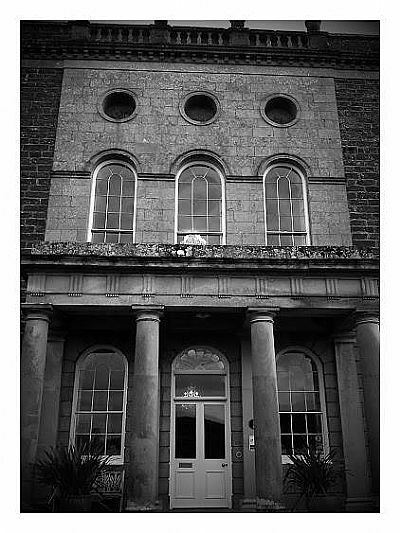 Walking from the court at the back of the mansion, turning left on a slightly incline is a dramatic Greek style stable block, much unexpected, hidden behind the mansion. The stables were built in 1837 which replaced a previous stable block that had no architectural qualities that is known. An ornamental cupola stands on top on the far roof and on top of the arched entrance there once stood a bronze horse and two stone eagles, sadly they were sold many years ago. There are eight large compartments for carriages, and ten smaller stable bays, which comprises of a total of 18 horseboxes. 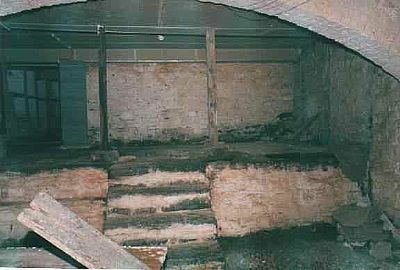 The living quarters for the stable servants are located above on the south side and the carpenters workshop (together with a sawdust chute), on the north side. An office, saddle room and tack room were located within the stable yard. 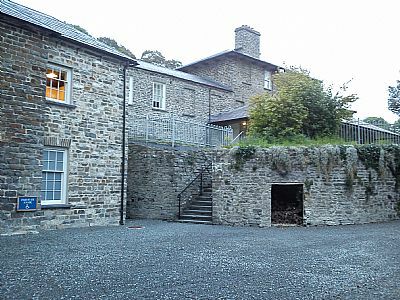 The immediate surrounding estate was well constructed and managed, a small rail line was situated at the back of the Stable block, on the north side near to the carpenter’s workshop all delivers of coal and logs would be placed in the cart and rolled down to the log chute into the court yard below. There was also a saw mill, for chopping up the wood and producing pieces of timber for the carpenter. 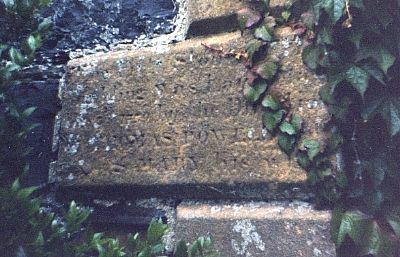 Continuing past the north side of the stable leading into the woods (and the back drive which is mentioned earlier), is an old dove cote, date unknown, though it is said that it is considerably old, possibly older than the mansion that stands today. Directly in front of the stable on the east side is the walled garden of the mansion, 2.185 acres. Within its stone and brick structure are two green houses, potting shed, dipping pond, cold frames and a vinery with additional outbuildings behind. 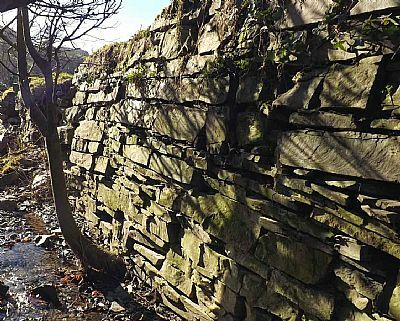 The wall dates from the early 18th century and the vinery is the latest construction dating from 1897. This area would feed the house and any surplus fruit and vegetable would be sold to the tenants. 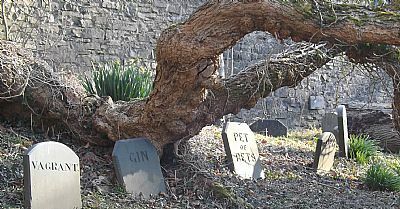 On the south side over the walled garden is the shrubbery with ornament trees and shrubs and also a Victorian pet’s cemetery, that surrounds a very matured mulberry tree. Other trees in the shrubbery include a ginko and tulip trees. Nanteos now covers 30 arces in total, slightly less than it's hayday of over 31,000 acres. The above is a short description of what remains at Nanteos today. Now a spendid grand hotel, with 14 en suite bedrooms with another 7 bedrooms to be added very soon.